Usiek, okey, next time I will create report like "I made a lot of stupid moves and won couple of games only because stupid coincidences and time troubles of my opponents". I hope that you will be happy next time about it. I've wrote only my impressions and I still think that I am correct about our game (is it possible to see the game records about time in the end?) and the game of me with Bogdan, but I don't want to argue about them here. Why? I tried to play well during the games, if you think that you had a great advantage, then okey, I don't mind. No, I just want you to be accurate with facts, to avoid misleading descriptions, and to tell the truth, the whole truth, and nothing but the truth. And not to be such a demagogue as you were when you typed your last message. There two types of propositions in my posts: about concrete facts like "Usiek losed the game" and some opinions like "Usiek make a weak move" or "Usiek's behaviour is unfair". The sentences of second type cannot be checked absolutely, because what is "fair" and what is "weak move"? People can have different opinions here. And I think that I'm completely accurate with the facts (the sentences of the first type). If I'm not correct here please give me an example. And we just have different opinions about what is "fair" and what is "weak move", I think that it is okey. The community is dissolving, there is no influx of new people, and the elite players are demotivated by the Polish failure at the recent world championship. Podobnie sprawa ma się z aktualizacją oficjalnego rankingu PSGRiP: zaktualizuję, bez wątpienia, tylko nie wiem kiedy. Wprawdzie oglądałem końcówkę partii Vince'a i Alice'a, ale nie zwróciłem uwagi na brak kontynuowania zapisów, patrzyłem wyłącznie na to, co się działo na planszy. Myślę, że powinniśmy doprecyzować zasady i na pewno podejmę ten temat podczas kolejnego posiedzenia Zarządu. Odsyłam do http://forum.gomoku.pl/vi...?p=57897#57897. Przydałby się protokół z poprzedniego Walnego. Partia Łukasza z Adamem to już cyrk. Sorry Panowie. Gra nie spełnia wymogów regulaminowych (tłumaczenie alice'a jest tak śmieszne, że sam nie potrafił się powstrzymać ) i rankingowych. Skoro nie była rozgrywana na czas, to nie widzę powodu aby miała się liczyć do rankingów. Ilya, you failed to tell the whole truth - namely, that you and Usiek had about the same amount of time left when he made his blunder. Your original review creates a false impression that it was only Usiek who was in a time trouble and that Usiek put himself in a position in which he had to spend more time than you did. In fact, he and you spent about the same amount of time by the moment Usiek made his blunder! So your description is misleading. Technically correct but misleading. And it is misleading because you failed to say an important piece of truth. And just google the expression "technically correct but misleading" to see that this is indeed something to blame for. Being technically correct is not enough. I want you to finally get that. 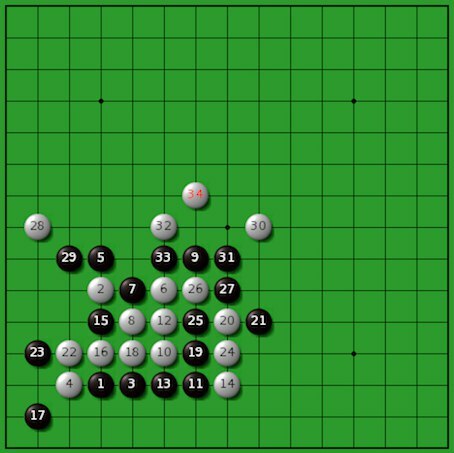 Alice told you that this is a wrong statement, as Alice never went below 2 min in his game against Vince. Also, statements like "Usiek made a weak move" are not entirely subjective. 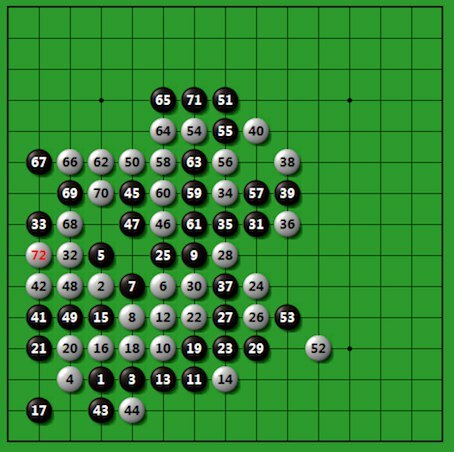 How good or bad a move is can be objectively clarified, to some extent, by checking with a program or by deep analysing. Carelessly making statements like "Usiek made a weak move," especially in a written review of a tournament, and then simply defending oneself by saying, "That was just my opinion," is not a standard a serious gentleman should live by. If you write, "Usiek made a weak move," you should be able to provide clear evidence or at least compelling arguments to support your point of view, unless you want to have a reputation of a man whose opinions are unsubstantiated. Ilya, you failed to tell the whole truth - namely, that you and Usiek had about the same amount of time left when he made his blunder. Your original review creates a false impression that it was only Usiek who was in a time trouble and that Usiek put himself in a position in which he had to spend more time than you did. In fact, he and you spent about the same amount of time by the moment Usiek made his blunder! So your description is misleading. Technically correct but misleading. For me it looks very strange that we had the same time, I want to see the photo of game records to check it. This is because I did not have troubles with time at all but Usiek wrote that make a mistake because of time. Again, it is quite surprising for me because I've seen that both of them had less than 1 minute of time. But it is theoretically possible that I'm wrong because I was not so interested in their game. So may be Alice is correct and I'm not, I can add it to my report. Also, statements like "Usiek made a weak move" are not entirely subjective. How good or bad a move is can be objectively clarified, to some extent, by checking with a program or by deep analysing. 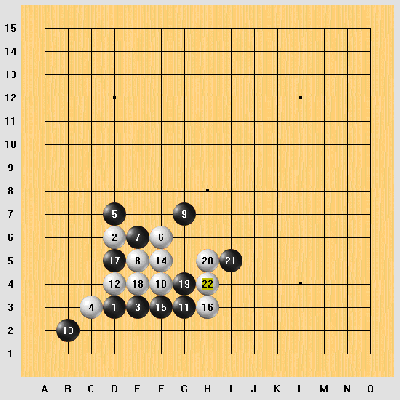 I've shown above that at least at some moment my position was better from Yixin's point of view. But in general I don't want to prove such sentences, this is just my evaluation of move/position, I can be wrong. "zawrzyj paszczę, remis dopiero jak zapełnisz całą planszę"
a zukol jeszcze batem świszcze nad uchem "nie zasypiaj przypadkiem"
The photo was taken and posted very quickly after a public request by Fudjin. No one can photoshop a photo that quickly. §5 pkt 4. Jeżeli zegar przestaje chodzić jedynie dwaj grający zawodnicy mogą to zgłosić sędziemu. Ten następnie może odjąć czas, który upłynął. This is complete bs. There was no clock failure. Full stop. The key position I am talking about, where I had the advantage, was after my 21st/23rd move on I5 (I don't remember when exactly you played your four on C4) - the key block, after which you played the three on H4 and I made the blunder move on H6 forgetting to play the four on G5 first). At this point (right before I blundered) we had more or less the same amount of time left on our clocks (slightly above 5 minutes, as far as I remember). In whose favour do you think the position immediately before my blunder was? Below I attach the position. Pamiętam tamtą gorącą dyskusję i ustalenia, które - jak widać - okazują się póki co martwym przepisem, bo w tym przypadku nie było nawet upomnienia. Dlatego uważam, że temat trzeba omówić ponownie i tym razem skupić się na znalezieniu sensownego i praktycznego rozwiązania. You have a point here. From my perspective it looked much better for black, thanks for correcting me.